“I’m obsessive about fishing and if there were a Betty Ford Center for fishing addiction, I’d be the Elizabeth Taylor of it,” Rachel says laughing. Her background includes ten years as an artist in New York, guiding float trips in Bristol Bay, and teaching telemark skiing. 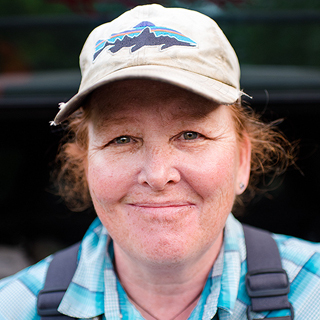 She now lives and works as a fishing guide in the Adirondack Mountains and shares her passion with people around the globe.